Gujarat CET is a state level entrance examination conducted annually for the applicants seeking admission is various undergraduate degree programs. 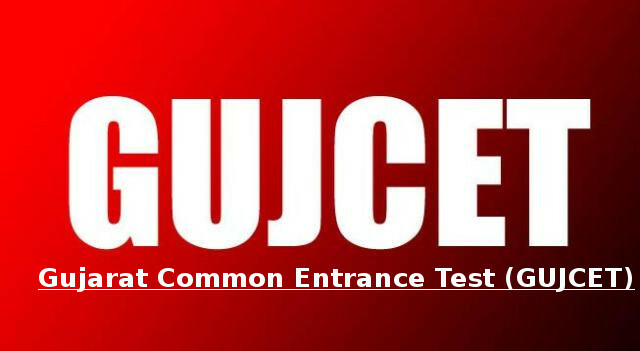 GUJCET abbreviated as Gujarat Common Entrance Test is conducted by the Gujarat Technical Board to check the eligibility of aspirants willing to take admission in engineering and technology domain. GUJCET will be conducted under the guidance of Gujarat Secondary and Higher Secondary Educational Board. Every year more than 1.32 lakhs of students appear for the entrance examination. The entrance examination acts as a gateway to the students willing to seek admission into various private and public colleges. GUJCET 2019 will commence in the month of April 2019 and the schedule for the same will be released in the month of February 2019. The examination will be conducted in offline mode and the examination center is been establish all over the city. More details regarding the entrance examination are mentioned in the below article. Admission committee of GUJCET 2019 will release the notification of the entrance examination through its official website. The schedules of the examination will be released in the month of February 2019. Aspirants appearing for the entrance examination will have to keep the regular check on the schedules. GUJCET 2019 eligibility criteria are set under the guidance of the admission authorities of Gujarat Technical University. All the candidates willing to appear for GUJCET 2019 will have to meet all the criteria’s, if fail, he/she will not be allowed to appear for the entrance examination. Age: Candidates appearing for Gujarat CET 2019 should be minimum of 17 years of age as on 31st December 2019. Nationality: Aspirants appearing for Gujarat Common Entrance Test 2019 should be an Indian by nationality. Domicile: Candidates should be a permanent resident of Gujarat state to be eligible for appearing GUJCET 2019. Qualification: Candidates should have completed or should be pursuing 12th or intermediate from a recognized board to appear for GUJCET 2019. Subjects and Scores Required: Candidates should have studied 12th with mandatory subjects like Physics, Chemistry, and Mathematics/Biology with minimum 45% aggregate (5% relaxations for reserved category candidates). Candidates willing to appear for GUJCET 2019 will have to fill the application from and register themselves through online mode. Once the payment is done the authorities will provide you with user Id and password for further usage. The application from will be made available from February 2019 through its official website. User Id Generation: The candidates will be allotted with User Id and Password after submitting a DD of INR 300 in favor of “Secretary, Gujarat Common Entrance Test Cell, Gandhinagar”. Registration: Candidates can use the provided user Id and register themselves for GUJCET 2019. Form Filling: Candidates will have to fill the application form by provide the accurate personal and academic details. Uploading Documents: Aspirants will have to upload the scanned copies of candidate’s recent passport size photograph and signature. Submission: Candidates can submit the application form once its filled and take a print out of eth same for further reference. Exam pattern for Gujarat CET 2019 will be set according to the Gujarat Secondary and Higher Secondary Educational Board by focusing on the major factors like mode of examination, languages, duration, allotting marks, etc. Mode of examination: Gujarat Common Entrance Test 2019 will be conducted in offline mode. The examination will is pen and paper based. Medium of examination: GUJCET 2019 will be conducted in 3 different languages, namely, English, Hindi and Gujarati. Duration of the examination: The GUJCET 2019 will be conducted for 3 hours, i.e. 180 minutes. 120 minutes will be provided for Physics and Chemistry and 60 minutes of Mathematics. Question Paper Format: Multiple choice questions will be asked in GUJCET 2019 question paper. Every question will be provided with 4 options out of which the candidates will have to choose 1 correct answer. No. of Questions: GUJCET 2019 exam paper consists of 120 questions for 120 marks.? Marking Scheme: In GUJCET 2019, every correct answer will be allotted with +1 mark whereas every wrong answer will deduct 0.25 marks. Unanswered questions will neither gain marks nor loose marks. GUJCET 2019 Admit card will be issued by the admission authorities of Gujarat Technical University. The admit card was an important document that had to be produced at the examination center. The admit card will be released in the month of April 2019 through its official website. Visit GUJCET 2019 official website and navigate to Hall Ticket link. Login with User Id and Password and click on submit. Check for the details mentioned on the admit card and take the printout of the same. Result for Gujarat Common Entrance Test 2019 will be declared by the Gujarat Technical University through its official website. The candidates can obtain their subject wise obtained marks, total marks and ranking from the official website. Visit the GUJCET 2019 official website and navigate to Results link. Provide the application number and date of birth and click on submit option. Once the result is displayed take the print out of the same for further use. Counseling for GUJCET 2019 will be conducted in 2 rounds and the seat allotted will be made on the basis of choice filled by the aspirants. Aspirants will have to register themselves for counseling by making the payment of INR 350/- via any branches of Kotak Mahindra Bank. Candidates will have to fill the counseling application form and make the payment. Candidates have to submit the print out of the filled application form with other required documents at the nearest help center. Candidates to make the choice filling of the preferred college and preferred course. Allotment of seats is done as per the merit and preference of the candidates. Selected candidates can make the payment of the required tuition fees and report at the allotted institute. The examination authorities of Gujarat state has set up the examination center for GUJCET 2019 in various parts of the state. Candidates are liable to choose the exam center nearest to their locality at the time of registration. The exam center allocation will be based on the candidate’s preference.